Our skilled esthetician will customize your facial to suit your individual skin type and condition. Every facial includes a thorough cleansing, exfoliation of dead skin cells (and extractions if needed). Microdermabrasion, Dermaplaning, Enzyme peels, and soothing masque application can be added and incorporated into your facial treatment. Each facial treatment will leave the skin refreshed, nourished, hydrated, and healthier! Acne can affect people at any age and can range in severity; from blackheads to cysts. This deep cleansing purifying treatment with high frequency will unclog pores, clear blackheads, sooth inflammation, clear congestion, help prevent future breakouts and heal existing lesions. A refreshing Treatment aimed to perk up your skin and suit to your needs. 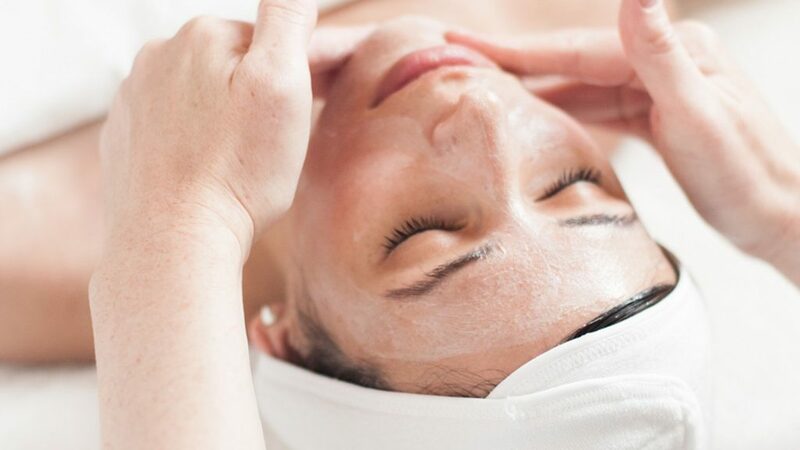 After analyzing your complexion, it’s on to a deep Cleansing and refreshing exfoliation, revitalizing massage on face, neck and declotte followed by a luxurious mask leaving your skin renewed and replenished. This 60 min treatment includes a deep cleansing, exfoliation, pore cleansing, massage and masking.